Helllo Out There! 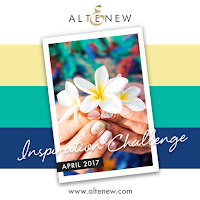 Today I'm playing along with the Altenew April 2017 Inspiration Challenge. I'm still not very good at the photography part of things, so I need to spend some time working on that. I created this A2 card by die cutting a watercolor paper to stamp the beautiful flowers with waterproof black ink. Next I used blue and green watercolor pencils to paint them. I added some of the tiny circles and colored them with a yellow as well as the berries (or buds, maybe?) on the flowers. 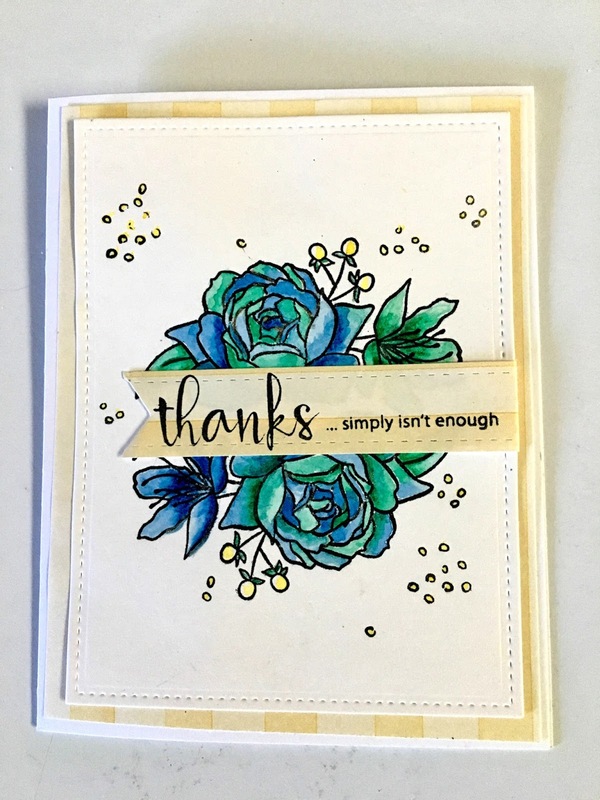 I found some pale yellow paper in my stash and layered that beneath the stamped panel and finished by die cutting a stitched strip and stamping the thanks with a smaller sentiment and cut a fishtail and adhered it to the front and that finished it. Such a pretty take on the inspiration photo Mary, the blooms are beautifully coloured. You've nailed the colour scheme this month!